One of my favorite things about Ruby is the fact that it is a very pure Object-Oriented language and that everything is an object. This fact, combined with the fact that Ruby is also a runtime language can leave you doing some pretty cool edits to the standard library in your codebase. In this article, I am going to briefly discuss a section of Ruby metaprogramming known as Dynamic methods. These are methods that you write for existing Ruby classes that already in the codebase of the standard library. For this tutorial, we are working on the basis that you have Ruby installed on your machine. Now you should be in the IRB terminal. Next, we are going to add a method to the string class called William. This method just simply returns my name but it should give you an insight into what a dynamic method is. You can see from this example that a dynamic method is a method that is created at runtime. You can add another method to a class at a point when the code gets executed. Dynamic methods open a whole new paradigm when it comes to solving common coding challenges. Let’s look at how we can use dynamic methods to create a program that converts small numbers into roman numerals. Programming is a mixture of art and science. Unfortunately, when it comes to coding challenges, there are many correct answers that garner fierce debate. 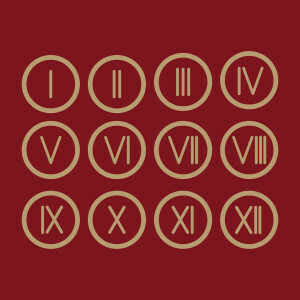 A common challenge I see posted comes in the form of roman numerals. How would we write a computer program that converts a number into a roman numeral using dynamic methods? In our spec directory, we can create the Roman Numeral spec sheet. Dynamic methods allow us to create a method that we can call on instances of the Fixnum class. Ruby has useful methods such as to_s which converts a number into a string. In this case, we are driving inspiration from Ruby conventions and adding a method without changing any of the Ruby libraries. We are simply adding a new method. Let’s see how this is done. You’ve now seen dynamic methods in action. We can now call .to_roman_numeral on any number, just like we .to_s. Dynamic methods are great for little programs like this but, be warned, adding dynamic methods to your application like this can have a massive downside if you are not careful. The biggest potential downside with dynamic methods are overwriting existing methods in the ecosystem with your own methods. This could lead to Gems breaking, silent errors, or even overly complicated code. Let’s take the Fixnum class again. If we accidentally write our own .to_s method, then we have potentially removed core, expected functionality from our application. Since the code will get executed at Runtime, we won’t see the error occur until it is called, and even then it may result in a silent error. When it comes to dynamic methods, it pays to be additive. Instead of overwriting methods, it is safer to add on and quickly check that you are not overwriting an existing method. In conjunction with this, I highly recommend tests to cover your application so you can quickly spot when something breaks down. Now that you have had a quick introduction to an aspect of Ruby MetaProgramming, how would you use it? Do you think dynamic methods are useful or are they too dangerous for one’s own good? I would love to hear your opinions in the comments below.